By using this website you confirm you are more than 18 years old and have the legal capacity to accept the GTU. If you use this website on behalf of a corporation, you confirm that you have the right to accept the GTU on its behalf and that the corporation will be responsible of any consequences of the use and bad use of the website. This contract contains important information concerning your rights, your obligations and your actions, notably concerning any limitations and exclusion of responsibility, your obligation of compensation as well as dispute resolution clause stating the procedure to follow in such a case. The GTU are the complete agreement between both parties regarding the use of the website and cancels and replaces all past and present communication relating to the said object. The present preamble is an integral part of GTU and is made completely of engagements. ASDS MEDIA client refers to a subscribed journalist and is considered as such by ASDS MEDIA. ASDS MEDIA content refers to the integrally of the videos, images, audio content, graphics and informative documents provided by ASDS MEDIA on any support, including texts, key and / or related information, taken together or individually. ASDS MEDIA account refers to the profile, user ID and password of the user allowing him to access the website in privilege conditions. Party (or collectively “parties”) refers to the ASDS MEDIA client and/or ASDS MEDIA. User ID refers to the ASDS MEDIA client accessing to and/or using the website. The ASDS MEDIA company holds and operates the website on its own. The content and each of its elements are the exclusive property of ASDS MEDIA or of its third party image provider. In no cases the User is allowed to reproduce, broadcast and/or exploit the constituent elements of the website’s appearance without the authorisation of ASDS MEDIA. You do not have the right to use, copy or imitate, completely or in part, the ASDS MEDIA brand with no prior authorisation by ASDS MEDIA. ASDS MEDIA is a registered trademark. All brands, product names, legal names and / or logos mentioned on the website belongs to their respective holders. ASDS MEDIA is allowed to close any user account that infringes the intellectual property of others. - the object of the counterfeiting and identification of the element that, for you, constitutes the counterfeiting. - a description of the place of the elements that constitute the counterfeiting on the website. - information to allow ASDS MEDIA to contact you, including you postal address, phone number and email address. - A sworn statement that says you estimate in full honesty that the use of these elements you identified is not allowed by the intellectual property right holder, its representative or by the law and that says your notification is right and that you are the intellectual property right holder of the element you estimate has been counterfeited or that you are entitled to do it in the name of that person. The use of non-authorized content constitutes, at the minimum, counterfeiting which ASDS MEDIA and/or its providers according to the case are authorized, with no prejudice of any other action or right, to prevail themselves in justice in order to stop the counterfeiting and obtain mending of the prejudices linked to this action. Right to reproduce and broadcast in Media with exclusive purpose of news information and in any case should it be used as publicity. - proceed to reverse engineering, degrade or change any part of the Website or its content. - use the Website or its content for any other purpose than the ones predicted here. - create links or use a software or any other automatic package, technology or algorithm with the purpose of “crawl”, “scrape” operations, search, control, and / or recuperate on or copy from the Website any connected content or information. - violate the Website’s technical restrictions or to get round any measures put in place to avoid or limit access to the Website or its content by hacks or any other measure. - analyse or test the Websites’ vulnerability or the internet network in charge of the Website, or to search via the website information about the website’s visitors personal information concerning the ASDS MEDIA client. - use any measure, software or routine that could hamper the Website’s good running or its transactions. - manipulate or display the Website by using a “framing” technology, or similar; avoid, deactivate or disrupt in any way the Website’s security device, the service system or the connected network to the Website or accessible through him. In order to protect ASDS MEDIA and the origin of its images, the content can sometimes have a visible, invisible or electronic watermark and can incorporate the technology of digital right management. This technology can allow “crawling” or the online follow up of the content obtained by ASDS MEDIA and / or the implementation of other method of protection, control or follow up of the use of non authorized content (law management system). If you oppose yourself to the use of the law management system by ASDS MEDIA, you are forbidden to use the website or the content fond on the website. You are forbidden to deactivate voluntarily this technology. You are forbidden to delete any “copyright” or property mention included in the content, in information mentioned in the key or in any other document from the website. Your use of the Website must be in compliance with the existing law. You accept not to enter in any forbidden sector of the ASDS MEDIA computer system or to start any functions you are not allowed to in accordance with the GTU. You have to save the data and content for which you acquired the rights on the website and ASDS MEDIA cannot guaranty that the mentioned content will be available on the website. Once you have asked for the opening of an ASDS MEDIA account and that ASDS MEDIA has confirmed your subscription, you will be able to access all content without watermark and download it for free. ASDS MEDIA can ask for supplementary information from you or an additional agreement before authorizing you to access certain functions on the website. You accept to access certain zones of the website and account, by using only the data from your account and your password which was given to you by ASDS MEDIA. You have the obligation to provide exact, to date and precise information for the opening of an ASDS MEDIA account. ASDS MEDIA reserves its discretionary right to grant you or not with an ASDS MEDIA account, and you consent in accessing to the authorized section via your user ID and password only that were allocated to you by ASDS MEDIA. You engage yourself to preserve the security of you password and identification and you are responsible of the keeping of its confidentiality. It is forbidden to disclose these information or to authorize a third party to use them in order to access the website. You accept to take reasonable measures to prevent others from getting your information for access and to report immediately to asds any unauthorized access, any other security flaw or the necessity to update or forbid the access to one of your employees or agent. If you suspect anyone from using your information, contact us immediately. If you wish to close your ASDS MEDIA account or if you ask us to not use the data, that concerns you, to provide you the services, you shall ask by writing to the ASDS MEDIA head office. The effective closing of your account will be done in a reasonable timing. ASDS MEDIA has the right to, with no notice and in its entire discretion, to close your account and / or block your use of the website by notifying you or not. - by third parties within a process of reorganisation of the company, including without it being restrictive to a fusion, acquisition or sale or all or in part of our capital. Excepted what was written above, ASDS MEDIA does not sell, share or rent its clients’ data to third parties in a commercial or promotional goal. You agree and accept that any message or information sent to the website could be read or stolen by a third. Know that if you use the “agenda” or “news” pages of ASDS MEDIA, you need to know that all personal data that you integrate could be read, recuperated or used by other users. ASDS MEDIA is not responsible for the personal data you share on the website. You can ask at any moment to consult, correct or delete the personal data that concerns you that is stocked by ASDS MEDIA in the above mentioned pages by contacting ASDS MEDIA and writing at its head office. ASDS MEDIA has the right to reveal any information, including saved data, for a decision or jurisdiction requisition or to preserve its own rights. ASDS MEDIA will keep the information concerning you as long as your account is active or as long as necessary to conform to our legal obligations, to solve juridical disputes or to apply our agreements. ASDS MEDIA uses your profile information (such as type of company or language choice) present on the subscription form or the non-personal data automatically collected (IP address, browser type, internet provider, date…) in order to create a statistical service that could be named if need be. ASDS MEDIA will be able to create a profile according to your activity on the website. Besides, ASDS MEDIA can assemble some data under a group in order to allow us to understand our users in a better way. This group of data is anonymous and contains no personal data allowing the identification of a user. ASDS MEDIA can provide or allow a third to access statistical information on our users concerning a certain volume and use, anonymously and as a group, for audit, search and analysis needs. Despite our efforts to provide precise and possible information, this website can contain errors or inaccuracies of technical, typographical or other order. Moreover, this website and its content can include images and texts of historical and cultural importance that can contain subjects reflecting social behaviour and circumstances from a certain time and place. You must know that your research could bring up results with content that seems unsuitable. It is your responsibility to determine either or not your use of the content requires the consent of a third party or a licence for additional rights and you cannot only rely on ASDS MEDIA’ information. In case of doubt for the necessity of a third party for your special use, you are in the obligation to consult a professional in the management of right or a juridical consultant. ASDS MEDIA put in place measures to secure your personal data against non-authorized accidental loss or access, use, modifications and disclosure. All the data you provide us with is stocked on our secured servers, protected by firewall. Unfortunately, the data transmission is never fully secured. As well as ASDS MEDIA takes all possible measure to secure your data, we cannot guaranty the security of your personal data transmitted to our services or through our services. All personal data transmission is taken on your responsibility and risk. We refuse all responsibility in the case of the distortion of the confidentiality parameters or of the security measures integrated in the services. You do not have the right to use the ASDS MEDIA logo or other graphics belonging to ASDS to establish a link towards our website without a written authorization from ASDS MEDIA. In general, you do not have the right to establish any link to our website without previous written authorization. For convenience, our website could have links to other websites that could be of interest for you. ASDS MEDIA rejects all responsibility, direct or indirect, concerning the quality, content, nature or reliability of the websites accessible via links from our website, or websites referencing our website. ASDS MEDIA has no control over these websites and is not responsible for the availability or the content of the related websites or of the links present on these related websites, or furthermore of the revisions, modifications or updates brought to these websites. ASDS MEDIA only offers these links for your convenience, the incorporation of these links do not involve the validation, affiliation, acceptation or adoption by ASDS MEDIA of a website or the information it contains. The user is informed that, during its visits of the website, cookies can be installed on its browser software. In the case in which the user wished to deactivate these cookies, he could no access the website anymore. This website and its content is provided to you “as is” and “as available” with no guaranty of any kind from ASDS MEDIA. You understand and accept that the use of the content is under your entire responsibility and to your own risks. You acknowledge and agree that by supplying, compiling, collect, interpret, report, communicate, deliver and directly digitally enter the content, there is a margin of error that can not be avoided. You further acknowledge that the content is mainly provided by third parties and that ASDS MEDIA cannot systematically monitor such content. ASDS MEDIA makes reasonable efforts to ensure the accuracy, correctness and reliability of the contents of ASDS, but does not guarantee the accuracy or correction, or reliability of the content of ASDS MEDIA. Excluding responsibilities that cannot be excluded or restricted as being of public order, ASDS MEDIA excludes, authorizes, all guaranties, express or implied, including and without limitation, any implied guaranty of merchantability, of quality control or adequacy for a particular purpose. Embedded functions or being part of the products of this website are not guaranteed against interruption or against errors in operation. ASDS MEDIA also offers a search function within the website. ASDS MEDIA expressly disclaims any liability for the content or reliability of the information in the search index or directory.ASDS MEDIA also disclaims any responsibility for the completeness or accuracy of search results. The costs in the event of recourse to services, repairs or corrections caused by the use of this website or by the content of Asds is of your own responsibility, and not ASDS MEDIA. ASDS MEDIA’ responsibility cannot be taken for any damage resulting from the use or relative to the use, or in the incapacity or use of the website and content (including products, services and softwares) provided for this matter, or by the non availability of all these, or coming from the use or relative to the use of any website that is linked and/or of events not under the control of ASDS MEDIA, including viruses or element contaminating or destructing your computer, messages non written or transmitted, data corruption, transmission error, Internet providers, links to third party websites or content of third party website even if ASDS MEDIA is warned of the possibility of such damages or loss or of the complaint of a third. ASDS MEDIA’ responsibility cannot be taken in case of damage done to user data whatever the medium would be, it will be to the client to protect himself by any means regarding the risks that could raise. Even in case of a proven fault, ASDS MEDIA cannot be taken for responsible cumulatively for a total exceeding five hundred (500) euros, reminding the user that ASDS MEDIA gives him a free access to the website. ASDS MEDIA’ responsibility cannot be engaged either personally nor jointly, due to third parties. ASDS MEDIA’ responsibility cannot be triggered if the execution of this contract is delayed or prevented because of a constitutive event of absolute necessity or in consequence of elements which the user would be responsible for. To the fullest extent permitted by the applicable regulations, whatever the legal basis of the action, the parties agree that under no circumstances ASDS MEDIA will be held responsible for any damage incidental, indirect, special or secondary, including loss of profits or revenue, business interruption or loss of business information, infringement to the brand, actions directed against the user by a third party and any damage resulting from the use of the website and / or of its content, even if ASDS MEDIA was warned of the possibility of such damages or if it was reasonably foreseeable eventuality . - any action or lack of action from you or from your employees , contractors , employers , agents, customers, or users and constituents. In case of dispute between ASDS MEDIA and you, ASDS MEDIA will be allowed to charge you, in addition to compensation for any damage, to a reasonable extent, the payment of its attorneys and experts and its other legal expenses. Any party being unable to perform any of its obligations due to a case of absolute necessity shall be exempt from that obligation for the duration of the case of absolute necessity. The parties expressly agree that by case of absolute necessity they understand: any situation or unforeseen event, beyond the control of the concerned party and prevents it to perform one or more of its obligations as defined by the jurisprudence of French courts and any case of strikes , lockouts , work to rule , occupancy , social conflict , protest, war to include civil , riot, revolution , terrorism , piracy, pandemics, climate incident , snow, fire, explosion, flood , earthquake , landslide , tsunami , lightning, accident, interruption of communication services and networks. The party affected by a case of absolute necessity will only be able to claim on condition that it notifies the other party as soon as possible, as fast as possible especially given the state of the transport, post and / or communication and should endeavour to limit the effects of their scale and duration. If the case of absolute necessity were to continue beyond one (1) month, the first party may request termination of the agreement between the parties by sending a registered letter with acknowledgment of receipt, said termination taking effect upon receipt. The GTU are governed by French law . In case of dispute on the interpretation, implementation or termination of all or part of the GTU, the parties undertake to cooperate with diligence and good faith in order to find an amicable solution. In the case that the parties fail to find such a solution, the Paris courts will be the only competent and, notwithstanding any conflicts of laws. In case of conflict or differences between multiple versions of GTU written in different languages ​, only the French language version shall prevail, language between both parties being exclusively French, other version are written only by courtesy. The fact ASDS MEDIA does not claim a right does not constitute a renunciation of that right. If any provision of the GTU would turn out invalid under a law in force or of a final court decision, the other clauses shall retain their effect. This contract is for the benefit of the parties, their successors and assigns, and requires them, and you may not assign or transfer this Agreement without the prior written consent of ASDS MEDIA. The provisions entitled " responsibility", " law” , “resolution of disputes and jurisdiction ", " language" and " applicable law " shall survive the termination of the GTU for a period of ten (10) years. Dernière mise à jour : 1er janvier 2016. EN ACCEDANT ET/OU EN UTILISANT LE PRESENT SITE INTERNET ACCESSIBLE A L’ADRESSE HTTP://ASDS-MEDIA.COM/ (CI-APRES le « SITE »), TOUT UTILISATEUR ACCEPTE SANS RESERVE, LES CONDITIONS D’UTILISATION DU SITE TELLES QUE MISES EN LIGNE PAR ASDS MEDIA AU MOMENT DE L’UTILISATION ETANT ENTENDU QUE ASDS MEDIA SE RESERVE LE DROIT DE MODIFIER LES PRESENTES CONDITIONS GENERALES D’UTILISATION (CI-APRES « CGU ») A TOUT MOMENT. TOUTE MODIFICATION DES CONDITIONS GENERALES D’UTILISATION PREND IMMEDIATEMENT EFFET AU MOMENT DE SA PUBLICATION SUR LE SITE. SI VOUS CONTINUEZ A UTILISER LE SITE UNE FOIS LA PUBLICATION DES MODIFICATIONS INTERVENUE, CELA ENTRAINE VOTRE ACCEPTATION DE CES MODIFICATIONS. En utilisant le Site, vous confirmez que vous avez plus de 18 ans et que vous avez la capacité juridique d’accepter les CGU. Si vous utilisez le Site au nom d'une personne morale, vous confirmez que vous avez l'autorisation d'accepter les CGU en son nom et que la personne morale en question sera responsable de toutes les conséquences de l’utilisation ou de la mauvaise utilisation du Site. Les CGU constituent l'intégralité de l'accord conclu entre les parties relativement à l’Utilisation du Site et annule et remplace toute communication précédente et actuelle relative audit objet. ASDS MEDIA est une société ayant son siège social, au 80 rue de Tocqueville 75017 Paris (France). Le présent préambule faire partie intégrante des CGU et est pleinement constitutif d’engagements. • Client ASDS MEDIA désigne un journaliste inscrit et réputé comme tel auprès d’ASDS MEDIA. • Contenu ASDS MEDIA désigne l'intégralité des vidéos, des images, du contenu audio, des graphismes et des documents informatifs connexes fournis par ASDS MEDIA sur quelque support que ce soit, en ce compris les textes, les légendes et/ou informations afférentes, pris ensemble et/ou individuellement. • Compte ASDS MEDIA désigne l’ensemble constitué par le profil, l’identifiant et le mot de passe de l’Utilisateur lui permettant d’accéder au Site dans des conditions privilégiées. • Partie (ou collectivement « Parties ») désigne le Client ASDS MEDIA et/ou ASDS MEDIA. • Utilisateur désigne le Client ASDS MEDIA qui accède au et/ou utilise le Site. La société ASDS MEDIA détient et exploite seule ce Site. Le Contenu et chacun de ses éléments sont la propriété exclusive selon les cas de ASDS MEDIA ou ses fournisseurs d’images tiers. En aucun l’Utilisateur n’est autorisé à reproduire, diffuser et/ou exploiter les éléments constitutifs de l’apparence du Site sans l’autorisation préalable d’ASDS MEDIA. Vous n’avez pas le droit d’utiliser, copier ou imiter, en tout ou partie, les marques d’ASDS MEDIA sans l’autorisation écrite préalable d’ASDS MEDIA. « ASDS MEDIA » est une marque déposée. Les autres marques, noms de produits, dénominations sociales et/ ou logos mentionnés sur le Site appartiennent à leurs détenteurs respectifs. ASDS MEDIA est autorisée à fermer les comptes d’Utilisateurs qui transgressent les droits de propriété intellectuelle d’autrui. - une déclaration sur l’honneur selon laquelle vous estimez en toute bonne foi que l'utilisation de l'élément que vous avez identifié n'est pas autorisée par le détenteur des droits de propriété intellectuelle, par son représentant ou par la loi et selon laquelle votre notification est exacte et vous êtes le détenteur des droits de propriété intellectuelle objet de ce que vous considérez être une contrefaçon ou êtes habilité à agir pour le compte de ce dernier. L'utilisation non autorisée du Contenu constitue, a minima, une contrefaçon dont ASDS MEDIA et/ou ses fournisseurs selon le cas sont autorisés, sans préjudice de tout autre recours ou droit, à se prévaloir en justice afin de mettre fin à ladite contrefaçon et d’obtenir réparation des préjudices liés à celle-ci. Le Site et le Contenu ASDS MEDIA sont destinés aux seuls clients ASDS MEDIA. Vous n'êtes pas autorisé à utiliser le Site ou le Contenu ASDS MEDIA autrement que dans le cadre de l'exercice de vos activités Presse/Média. • Droit de reproduction et de diffusion dans les médias à des fins exclusives d’information d’actualité et en aucun cas de publicité. - d'utiliser le site ou le Contenu à d'autres fins que celles expressément prévues par les présentes. Afin de protéger ASDS MEDIA et ses sources d’images, le Contenu peut parfois comporter un filigrane visible, invisible ou électronique et peut incorporer la technologie de gestion des droits numériques. Ladite technologie de gestion peut permettre le « crawling » ou le suivi en ligne du contenu obtenu auprès de ASDS MEDIA et/ou la mise en œuvre d’autres méthodes de protection, de contrôle ou de suivi de l’utilisation non autorisée du Contenu (les « systèmes de gestion de droits (SGD). Si vous vous opposez à l'utilisation par ASDS MEDIA des SGD, il vous est interdit d'utiliser le Site ou tout Contenu trouvé sur celui-ci. Il vous est interdit de désactiver volontairement ladite technologie. Il vous est interdit de supprimer toute mention de « copyright » ou de propriété incluse dans le Contenu, dans des informations indiquées dans une légende ou dans tout autre document du Site. Votre utilisation du Site et du Contenu doit être conforme au droit en vigueur. Vous acceptez de ne pas tenter de pénétrer dans des secteurs interdits du système informatique d’ASDS MEDIA ou de lancer des fonctions que vous n'êtes pas autorisé à lancer en vertu des CGU. Il vous incombe de sauvegarder les données et le Contenu pour lesquels vous avez acquis les droits sur le Site et ASDS MEDIA ne pourra garantir que ledit Contenu sera disponible à partir du Site. Lorsque vous avez demandé l'ouverture d'un compte ASDS MEDIA et que ASDS MEDIA a validé votre inscription, vous pouvez accéder au Contenu sans filigrane visible et le télécharger gratuitement. ASDS MEDIA pourra exiger des renseignements supplémentaires de votre part ou un accord sur des conditions supplémentaires avant de vous autoriser à accéder à certaines fonctions du Site. Vous acceptez d'accéder aux zones permises du Site et à votre compte, en utilisant uniquement les données de compte et le mot de passe qui vous ont été procurés par ASDS MEDIA. Vous êtes tenu de fournir des informations exactes, actualisées et précises dans le cadre de votre demande d'ouverture de compte ASDS MEDIA. ASDS MEDIA se réserve le droit discrétionnaire de vous accorder ou non un compte, et vous consentez à accéder aux sections autorisées du Site et à votre compte uniquement au moyen du numéro de compte et du mot de passe qui vous auront été fournis par ASDS MEDIA. Vous vous engagez à préserver la sécurité de votre mot de passe et de votre identification et vous êtes responsable du maintien de leur confidentialité. Il vous est interdit de divulguer ces informations d'accès ou d'autoriser des tiers à utiliser lesdites informations d'accès aux fins d'accéder au Site. Vous acceptez de prendre des mesures raisonnables pour empêcher autrui de se procurer vos informations d’accès et de signaler immédiatement à ASDS MEDIA tout accès non autorisé, toute autre faille de sécurité ou la nécessité de mettre à jour ou interdire l’accès à l’un de vos employés ou agents. Si vous soupçonnez que quelqu'un se fait passer pour vous, contactez-nous immédiatement. Si vous souhaitez clore votre compte ASDS MEDIA ou si vous demandez de ne plus utiliser les données vous concernant pour vous fournir les services, vous devez adresser votre demande par écrit à ASDS MEDIA au siège social. La clôture effective de votre compte sera faite dans des délais raisonnables. ASDS MEDIA se réserve le droit, sans préavis et à son entière discrétion, de résilier votre compte et/ou de bloquer votre utilisation du Site en vous le notifiant ou non. - par des tiers dans le cadre d'un processus de réorganisation de l'entreprise, y compris sans que cela soit limitatif d'une fusion, d'une acquisition ou de la vente de tout ou partie substantielle de notre capital. A l'exception de ce qui a été spécifiquement décrit ci-dessus, ASDS MEDIA ne vend pas, ne partage pas et ne loue pas les données de ses clients à des tiers dans un but commercial ou promotionnel. Vous convenez que tout message ou information envoyée au Site est susceptible d'être lue ou interceptée par des tiers. Sachez que si vous utilisez les Pages Agenda ou News d’ASDS MEDIA, vous devez être conscient que toutes les données personnelles que vous y soumettrez pourront être lues, récupérées ou utilisées par d'autres Utilisateurs. ASDS MEDIA n’est pas responsable des données personnelles que vous choisissez de soumettre dans ces pages. Vous pouvez demander, à tout moment, de consulter, corriger et supprimer les données personnelles vous concernant et stockées par ASDS MEDIA dans le cadre des pages susmentionnées en contactant ASDS MEDIA par écrit adressé au siège social de cette dernière. ASDS MEDIA se réserve le droit de révéler toute information, notamment les données d'enregistrement, dans le but de se conformer à une décision ou réquisition judiciaire ou pour préserver ses propres droits. ASDS MEDIA conservera les données vous concernant aussi longtemps que votre compte restera actif ou aussi longtemps que nécessaire pour nous conformer à nos obligations légales et réglementaires, pour résoudre des litiges ou pour appliquer nos accords. ASDS MEDIA utilise les données de votre profil (comme le type de société et le choix de langue) figurant sur le formulaire d'inscription ou les données non personnelles collectées automatiquement (comme l’adresse IP, le type de navigateur, le fournisseur d’accès internet, la date …) pour créer un service statistique pouvant être nominatif le cas échéant. A cette fin, ASDS MEDIA pourra établir un profil en fonction de votre activité sur le Site. Par ailleurs, ASDS MEDIA pourra compiler des données sous une forme groupée de manière à nous permettre de mieux comprendre les Utilisateurss. Les données groupées sont anonymes et ne contiennent aucune information personnelle permettant d'identifier un Utilisateur. ASDS MEDIA pourra fournir à des tiers, ou leur permettre d'y accéder, des informations statistiques sur les Utilisateurs de nos services concernant un volume et une utilisation, à caractère anonyme et groupé, pour des besoins d'audit, de recherche et d'analyse. En dépit de nos efforts aux fins de fournir des informations aussi précises que possible, ce Site peut contenir des erreurs ou imprécisions d'ordre technique, typographique ou autre. En outre, ce Site et son Contenu peuvent inclure des images et du texte d'importance historique et culturelle susceptibles de contenir des sujets reflétant les comportements sociaux et circonstances propres à une époque ou à un lieu spécifique. Vous devez savoir que votre recherche peut afficher des résultats dont le contenu peut sembler inadapté à son. Il relève de votre seule responsabilité de déterminer si votre utilisation du Contenu requiert le consentement d'un tiers ou l'obtention d'une licence pour des droits supplémentaires et vous ne pouvez pas vous fier exclusivement aux informations fournies par ASDS MEDIA. En cas de doute sur la nécessité de droits tiers supplémentaires pour votre utilisation, il vous incombe de consulter des professionnels compétents dans la gestion des droits ou un conseiller juridique. ASDS MEDIA a mis en place des mesures visant à sécuriser vos données personnelles contre les pertes accidentelles et les accès, les utilisations, les modifications et les divulgations non autorisés. Toutes les données que vous nous fournissez sont stockées sur nos serveurs sécurisés, protégés par des pare-feux. Malheureusement, la transmission de données par Internet n'est pas entièrement sécurisée. Bien qu’ASDS MEDIA prenne toutes les mesures possibles pour protéger vos données personnelles, nous ne pouvons pas garantir la sécurité des données personnelles transmises à nos services ou par le biais de ces services. Toute transmission de vos données personnelles s'effectue à vos risques. Nous déclinons toute responsabilité en cas de contournement des paramètres de confidentialité ou des mesures de sécurité intégrés aux services. 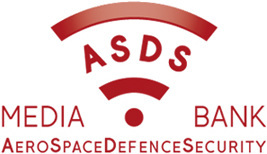 Vous n'avez pas le droit d'utiliser un logo ASDS MEDIA ou un autre graphisme appartenant à ASDS MEDIA pour établir un lien vers le Site sans l'autorisation écrite d’ASDS MEDIA. De manière générale, vous n’avez pas le droit d’établir un lien vers le Site sans l’autorisation préalable écrite d’ASDS MEDIA. À des fins de commodité, notre Site peut afficher des liens vers d'autres sites pouvant avoir un intérêt pour vous. ASDS MEDIA rejette toute responsabilité, que ce soit de façon directe ou indirecte, concernant la qualité, le contenu, la nature ou la fiabilité des sites Web de tiers accessibles via un lien hypertexte affiché sur le Site, ou des sites Web référençant le Site. ASDS MEDIA n'a aucun contrôle sur ces sites, et n'est pas responsable de la disponibilité ou du contenu des sites reliés ou des liens contenus dans un site relié, ou encore des révisions, modifications ou mises à jour apportées à ces sites. ASDS MEDIA vous propose ces liens uniquement à des fins de commodité, l'inclusion d'un lien n'impliquant pas l’aval, l'affiliation, l'acceptation ou l'adoption par ASDS MEDIA d'un site ou des informations qu'il contient. L’Utilisateur est informé que, lors de ses visites sur le Site, des cookies peuvent s’installer sur son logiciel de navigation. Dans le cas, où l’Utilisateur souhaitait désactiver ces cookies, il ne pourrait plus avoir accès au Site. CE SITE ET SON CONTENU VOUS SONT FOURNIS « EN L'ÉTAT » ET « TELS QUE DISPONIBLES » PAR ASDS MEDIA SANS GARANTIE D'AUCUNE SORTE. VOUS COMPRENEZ ET ACCEPTEZ QUE L'UTILISATION DU CONTENU EST SOUS VOTRE ENTIERE RESPONSABILITE ET À VOS PROPRES RISQUES. Vous reconnaissez et acceptez que du propre fait de fournir, compiler, collecter, interpréter, rapporter, communiquer, livrer et saisir numériquement le Contenu, il existe une marge d'erreur qui ne peut être évitée. Vous reconnaissez en outre que le Contenu est fourni principalement par des tiers et qu’ASDS MEDIA ne peut contrôler systématiquement ledit Contenu. ASDS MEDIA fait des efforts raisonnables en vue d'assurer la justesse, la correction et la fiabilité du Contenu d’ASDS MEDIA, mais ne garantit ni la justesse, ni la correction, ni la fiabilité du Contenu d’ASDS MEDIA. A L'EXCLUSION DES RESPONSABILITÉS NE POUVANT ÊTRE EXCLUES OU RESTREINTES CAR ETANT D’ORDRE PUBLIC, ASDS MEDIA EXCLUE, AUTORISEES, TOUTE GARANTIE, EXPRESSE OU IMPLICITE, Y COMPRIS ET SANS LIMITATION, TOUTES LES GARANTIES IMPLICITES DE QUALITE MARCHANDE, DE CONTROLE DE LA QUALITE, OU D'ADEQUATION A UN USAGE PARTICULIER. LES FONCTIONS INCORPOREES OU FAISANT PARTIE DES PRODUITS DE CE SITE NE SONT PAS GARANTIES CONTRE DES INTERRUPTIONS NI CONTRE DES ERREURS DE FONCTIONNEMENT. ASDS MEDIA propose également une fonction de recherche au sein du Site. ASDS MEDIA rejette expressément toute responsabilité concernant le contenu ou la fiabilité des informations contenues dans l'index ou le répertoire de recherche. ASDS MEDIA rejette également toute responsabilité concernant l'exhaustivité ou la précision des résultats des recherches. LES FRAIS EN CAS DE RECOURS A DES SERVICES, A DES REPARATIONS OU A DES CORRECTIONS OCCASIONNEES PAR L'UTILISATION DE CE SITE OU DU CONTENU D’ASDS MEDIA RELEVENT DE VOTRE SEULE RESPONSABILITE, ET NON DE CELLE D’ASDS MEDIA. • LA RESPONSABILITE D’ASDS MEDIA NE POURRA ETRE RECHERCHEE SI L’EXECUTION DES PRESENTES EST RETARDEE OU EMPECHEE EN RAISON D’UN EVENEMENT CONSTITUTIF DE FORCE MAJEURE OU EN CONSEQUENCE D’ELEMENTS DONT L’UTILISATEUR SERAIT RESPONSABLE. DANS TOUTE LA MESURE PERMISE PAR LA REGLEMENTATION APPLICABLE, QUEL QUE SOIT LE FONDEMENT JURIDIQUE DE L’ACTION, LES PARTIES CONVIENNENT QUE EN AUCUN CAS ASDS MEDIA NE POURRA ETRE TENUE RESPONSABLE DE TOUT DOMMAGE INCIDENT, INDIRECT, SPECIAL OU ACCESSOIRE, NOTAMMENT PERTES DE BENEFICES OU DE CHIFFRE D’AFFAIRES, INTERRUPTION D’ACTIVITE OU PERTES D’INFORMATIONS COMMERCIALES, ATTEINTE A L’IMAGE DE MARQUE, ACTION DIRIGEE CONTRE L’UTILISATEUR PAR UN TIERS ET TOUT PREJUDICE RESULTANT DE L’UTILISATION DU SITE ET/OU DU CONTENU, MEME SI ASDS MEDIA A ETE PREVENUE DE L’EVENTUALITE DE TELS DOMMAGES OU SI CETTE EVENTUALITE ETAIT RAISONNABLEMENT PREVISIBLE. En cas de litige entre ASDS MEDIA et vous, ASDS MEDIA sera autorisée à vous réclamer, outre la réparation de tout préjudice, dans une mesure raisonnable le paiement de ses honoraires d'avocats et d’experts et de ses autres dépenses juridiques. Toute Partie se trouvant dans l'impossibilité d'exécuter l'une quelconque de ses obligations du fait d'un cas de Force Majeure sera exonérée de ladite obligation pendant la durée du cas de Force Majeure. Les Parties conviennent expressément que par Force Majeure elles entendent toute situation ou évènement imprévisible, indépendant de la volonté de la Partie concernée et qui empêche celle-ci d'exécuter l'une ou plusieurs de ses obligations tel que défini par la jurisprudence des juridictions françaises ainsi que tout cas de grève, lock-out, grève du zèle, occupation des locaux, conflit sociaux, manifestation, guerre y incluant civile, émeute, révolution, acte de terrorisme, piraterie, pandémie, incident climatique, neige, incendie, explosion, inondation, tremblement de terre, glissement de terrain, raz de marée, foudre, accident, interruption des services de communication et réseaux. La Partie concernée par un cas de Force Majeure ne pourra s'en prévaloir qu'à condition d'en informer l'autre dans les meilleurs délais, dans la mesure du possible notamment compte tenu de l’état des moyens de transport, poste et/ou de communication et elle devra s'efforcer de limiter les effets de leur ampleur et de leur durée. Si le cas de Force Majeure venait à perdurer au-delà de UN (1) mois, la Partie la plus diligente pourrait demander la résiliation de l’accord entre les parties par l’envoi d’une lettre recommandée avec accusé de réception, ladite résiliation prenant effet dès réception. LES CGU SONT REGIES PAR LE DROIT FRANÇAIS. En cas de contestation sur l’interprétation, l’exécution ou la résiliation de tout ou partie des CGU, les Parties s’engagent à coopérer avec diligence et bonne foi en vue de trouver une solution amiable. Dans le cas où les Parties ne parviendraient pas à trouver une telle solution, les juridictions de Paris seront seules compétentes et ce, nonobstant d’éventuels conflits de lois. En cas de contradiction ou différences entre plusieurs versions des CGU rédigées en différentes langues, seule la version rédigée en langue française prévaudra, la langue de l’accord entre les parties étant exclusivement la langue française, les autres versions n’étant élaborées que par courtoisie. Le fait pour ASDS MEDIA de ne pas se prévaloir d’un droit ne vaut pas renonciation à ce droit. Si l’une des dispositions des CGU s’avérait nulle au regard d’une règle de droit en vigueur ou d’une décision judiciaire devenue définitive, les autres clauses garderaient leur effet. Le présent Contrat est conclu à l'avantage des parties, de leurs successeurs et ayants droits et oblige ces derniers, et vous ne pouvez céder ni transférer le présent Contrat sans l'accord préalable écrit d’ASDS MEDIA. Les dispositions intitulées « RESPONSABLITE », « DROIT APPLICABLE, RESOLUTION DES LITIGES ET ATTRIBUTION DE JURIDICTION », « LANGUE » et « DROIT APPLICABLE » survivront la résiliation des CGU pendant une durée DIX (10) ans. The whole content of this website, including news, quotations, data and any other information, is provided “as it is” by ASDS MEDIA and its third party’s content, for your information only and is not intended for commercial use. ASDS MEDIA excludes, in the limits of applicable law, all guarantee, explicit or implicit, including and without limitation, all the implicit guarantees relative to commercialisation, to the quality and the exactitude of the content provided and to the adequacy of its appropriate use. Even though ASDS MEDIA strives, to the fullest extent possible, to obtain a reliable content from its suppliers, ASDS MEDIA does not guarantee either the exactitude, the accuracy, the correctness or the reliability of ASDS MEDIA’s content. Neither ASDS MEDIA, nor the suppliers of ASDS MEDIA’s content can be held responsible for any direct or indirect damage, but not exclusively, driven by the utilisation of this website and the documents it contains, in the views of their appropriateness, their exactitude and their reliability; as well as the unavailability of this website and of its content. The functions incorporated in the website or to its data are not guaranteed against interruptions nor functional errors. The user will take in charge the cost of any resort to services, reparations or corrections caused by the use of the website. This website contains links to other websites that could interest you, that does not mean ASDS MEDIA approves of its content, ASDS MEDIA declines any responsibility towards these websites. Any dispute related to this contract will have to be steered by French applicable law. The different parties declare they will submit themselves to the exclusive competence of French civil court in spite of eventual law conflicts. In the case of a dispute between ASDS MEDIA and you, ASDS MEDIA will be authorised to demand, in a reasonable measure, the payment of its legal fees, of its legal experts and any other legal dispense.